This is a HIT this season with all the embellishments! This jacket with is roomy but true to fit with body and sleeve length. 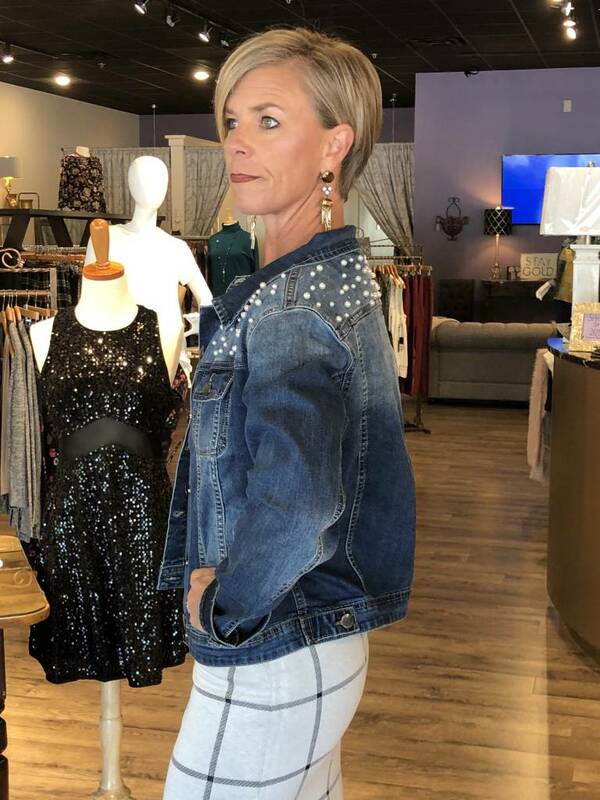 Large pearls on the front and back yoke make this a super stylish denim jacket. Sure to be a love in your wardrobe.